Arnon Dror is a highly respected Senior Operations Executive. He has an MBA in Finance, which he obtained after completing an MA in Micro Economics. Today, he works as the VP of Finance for the US Channel Group, Xerox. He is a high-level professional living in Portland, Oregon. He obtained his education at the Hebrew University of Jerusalem and still considers this to be the world’s most fascinating city. Indeed, every February, he returns here to soak up the atmosphere. Here, he shares some of the ancient city’s most amazing sights. Haas Promenade or Tayelet, found in the Talpiyot area. It is a stunning open park from which you can see the Mont of Olives and the Judean Desert. It is a lot of fun and offers a lot of modern history. Mount Zion, from where you can view the Old and New Cities and see David’s Tomb and the Last Supper. You also have views over Gai-Ben-Hinom Valley. Jaffa Gate, which is the Old City. 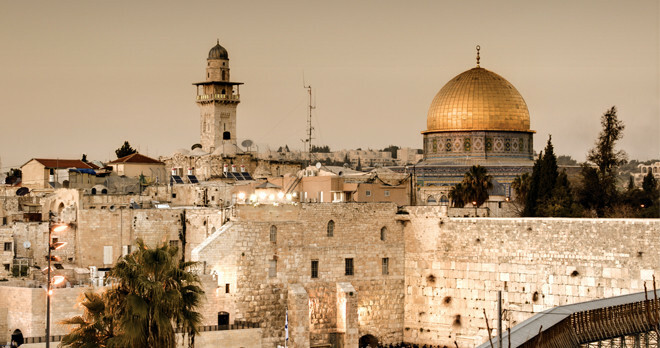 Fascinating tours, such as the Old City Ramparts and the Tower of David tour are organized here. You should also visit the souk, which is a real bazaar but also a tourist market and a spice market. The Church of the Holy Sepulchre, found at the Via Dolorosa. Make sure you check it is open first. Kotel, the Western Wall, which is what remains of the ancient temple that the Romans destroyed when they sacked Jerusalem in 70AD. This is where you can write a prayer on a note and place it into the cracks. You cannot take photographs if it is the Sabbath, there are separate places for men and women, and there is a dress code. The Jewish Quarter, where you really shouldn’t miss the Hurya Synagogue or the Cardo, a recently excavated and restored street. Roof top walk. If you really want to see all of Jerusalem, then you should make your way from the Cardo to the roof top of the city, seeing where the north and the south, as well as the east and the west, cross. It is one of the best views in the city. Mamilla, a modern street made to look ancient. The Montefiore windmill, from which you can see Mount Zion and the Old City. Emek Refaim, a great place to unwind and enjoy a coffee or bite to eat. For Arnon Dror, these are the most beautiful parts of Jerusalem and definitely worth not just a single visit, but repeat visits. Indeed, whenever he returns, he makes a point of seeing these sights, enjoying all that the city has to offer. It is a fascinating place of ancient and modern history that is about so much more than religion. He could not have chosen a better place to go to university and recommends the Hebrew University of Jerusalem to anybody looking to gain an education. If you have very old furniture that you possibly inherited from your grandma, the chances are that it has lost its original appeal or developed stains and cracks over the years. It’s also possible that you are drawn to yard sales, looking for cost-friendly pieces of furniture that could use some updating. Or, perhaps you don’t know what to do with the old family couch that’s been collecting dust in your basement. Whichever the case, it helps to know how tips on furniture restoration from Gary G Friedman can help your overall décor. Restoring your old pieces of furniture can unlock plenty of hidden qualities that have influenced the rise in popularity of vintage furniture in recent years. The resurgence of vintage furniture comes as no surprise as they have a timeless appeal that can transform your living room into an art gallery. Reupholstering your worn-out pieces of furniture gives them new life so you can accentuate your contemporary pieces with some of your good oldies and enjoy the both of both worlds. A restored rocking chair or coffee table will break the monotony of your modern styled home, adding an artistic component to your interior décor. Restoring old furniture can help you avoid over accessorizing your living room. A simplified space allows the remaining elements to stand out and shine. By restoring, you can pare down your collection, retain pieces that evoke strong memories and have sentimental value for that chic and sophisticated luxe look. Home décor can influence essentials such as aesthetic appeal, relaxation, comfort, and pride of ownership. And there’s no better way to update your homes interior design than investing in the best-quality furniture. As trends in decorating style can change over time, so can personal tastes and preferences. What once seemed fashionable may lose the appeal it once had. 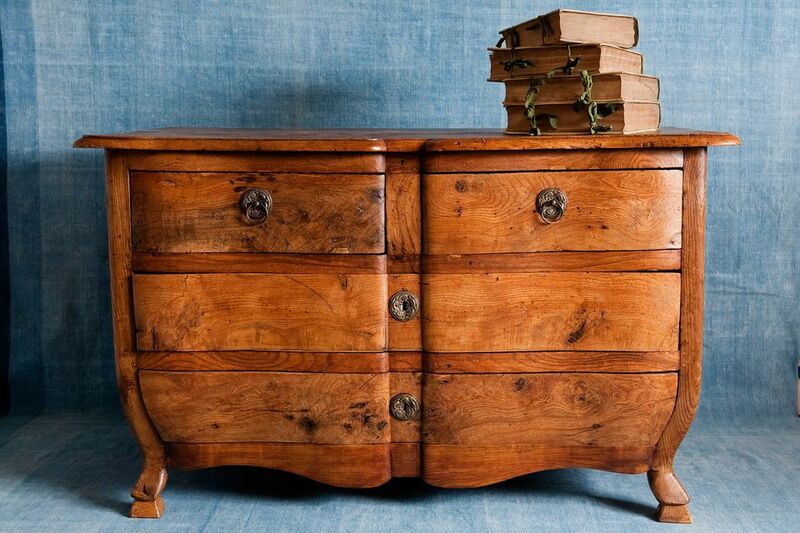 Getting your old furniture restored can help it look new and fresh again. You can use the same furniture to create a new style to suit your evolving tastes. For instance, if you have a wooden chair or table that doesn’t quite have the color or appeal of your modern décor, having it refinished can give it the look you want. Buying new furniture may sometimes seem convenient and stress-free, but these are often overshadowed by factors such as lesser quality and common availability. Moreover, today’s pieces of furniture tend to have short lifespans, despite their unusually high price tags. Furniture restoration, on the other hand, can give your living room a custom, vintage look. An antique dining table is a simple way to personalize your space and instantly create visual intrigue. The last thing you want is to walk into your neighbors living room only to find it to be a near replica of yours, thanks to mass-produced furniture from the local big-box store. Furniture restoration makes it affordable to add equivalent items of quality, timeless appeal and distinctiveness to your home décor. It goes your space a sense of wisdom. Living in Bellevue, WA, it is almost impossible to not come across some form of plastic surgery. Everybody seems to have had a procedure completed! Indeed, on the amp, you will regularly hear about Botox, face lifts, breast augmentations, breast lifts, and more. Sono Bello reviews the different types of surgical procedures that are offered, thereby ensuring they dont fall behind in their offerings either. In an attempt to be even more helpful, they now review what the different is between a breast lift and a breast augmentation, two terms that are often incorrectly used interchangeably. There have been numerous comments of people saying the breast lift and the breast augmentation are one and the same thing, but those comments are in fact wrong. Research has shown that, in 2013, there were some 23,000 procedures were completed for breast augmentation. Clearly, it is one of the most popular procedures in America, and one that many people are very familiar with. According to Sono Bello, the fact that so many people are interested in this procedure has made it safer and better understood than any other. Not just that, it has significantly reduced the price, giving more women the opportunity to love their own body again. However, the breast lift seems to be getting more popular as of late. Of interest is the fact that Sono Bello feels that many women who want to improve the appearance of their breasts would be far better served by a breast lift than by an augmentation. The breast lift is medically known as the mastopexy. In this procedure, a surgeon removes excess skin from the breast and literally lifts it up. They reshape the tissue through sutures, draping the skin once again to make it look more natural and firm. Many women don’t want to have much larger breasts, they simply want to fight the signs of aging, which have made their breasts hang and sag to a degree. Sono Bello feels that these women would be much more suited to a breast lift, which will leave their original size intact. It simply lifts the existing tissue so that the breast is back where it originally was, making it look younger and fuller. Sometimes, however, both procedures are needed, meaning the breast is lifted, while an implant is used at the same time. This means women have both a breast lift and a breast augmentation. Sono Bello’s experienced surgeons will be able to assess which procedure is most suitable for each individual. They will listen to the desires of their patients and they recommend the different possibilities in detail. Additionally, it is possible to complete the test developed by the President of the American Society of Plastic Surgeons, Dr. Robert X. Murphy, who suggests women simply lift their breast tissue, placing a pencil underneath it. If, after releasing the breast, the pencil stays in place, then a breast lift will be required. If you’re contemplating building a sunroom but require a little more information before making a decision, Community Builders Tulsa has tips to discover some of the top benefits of building a sunroom. If your home offers limited space and you’re looking to add an extension to your home, it’s well worth building a sunroom as an extension as you’ll instantly increase the amount of living space, which your home will offer. Some individuals use sunrooms as a playroom for their children or grandchildren, while other individuals use their sunrooms as a second dining room. It can become a happy design space to spend with family. While other individuals use their sunroom as a makeshift greenhouse for their plants. So if you’re looking to create a multi-purpose living space, which is sure to be used on a daily basis, it’s well worth considering building a sunroom. While sunrooms make great spaces to socialize with your friends and family members, a sunroom is also the perfect place to retreat to when you need a bit of downtime, on your own. As an example, you may want to retreat to your sunroom in order to lounge on a comfortable chair with a new book or to write in a journal. So if you live with your partner, friends, family or housemates and often find that your lounge is too crowded, it’s well worth building a sunroom, so that you’ll always have a private haven to retreat to. After all, as much as you love your friends or family, everyone needs a bit of time to themselves every once in awhile. If you love open indoor-outdoor spaces, it’s well worth building a sunroom which features a sliding door, which you can open up on warm sunny days, when you want to feel the sun’s warmth on your skin. If you host regular barbecues, you may want to grill your food outdoors before serving your food in your sunroom, as then you won’t have to contest with flies and bugs, which might be attracted to your food. 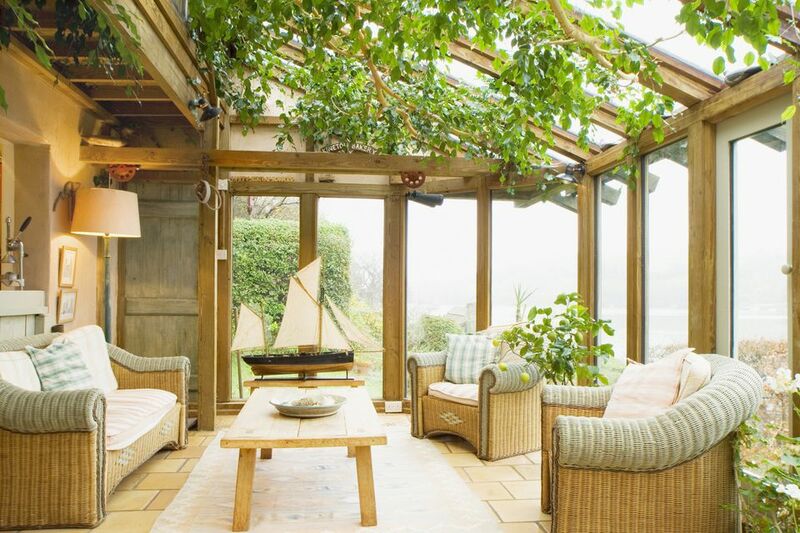 If you miss spending time outdoors in winter, it’s well worth building a sunroom as you’ll be able to enjoy meals, conversations and good books, with a view of your garden, without actually having to go outside. Which may require putting on several layers of clothes and battling the elements such as wind and rain. If you’re looking to increase the value of your home, it’s well worth building a sunroom as adding a sunroom to your property, should increase your property’s value by tens of thousands of dollars! So if you love the idea of having your own sunroom, it’s well worth finding out more information about building a sunroom today. 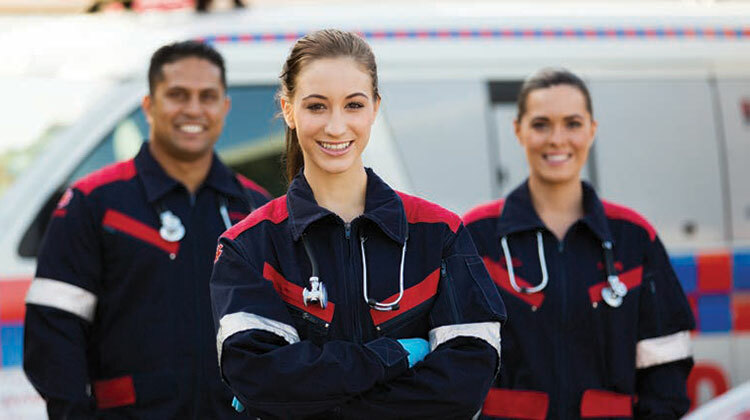 People who wish to become an Emergency Medical Technician (EMT), perhaps having been inspired by Stephen Varanko III, must first complete accredited training. They can do this at vocational colleges across the country, where they will be prepared for this exciting career. After completing the necessary coursework, they will be able to become licensed to work as an EMT, or they can continue their studies all the way up to becoming a paramedic. Many other courses will be included as well, teaching prospective EMTs to handle various emergency situations relating to health. Once they graduate, EMTs can work in a range of medical facilities, including clinics and ambulances, as well as other elements of the overall health care system. It usually takes between six months and a year to complete training, during which time students are introduced to potential places of work. Again, many other medical concepts are also included during this training. On graduation, they can get to work as a hospital paramedic, a dispatcher, an EMS paramedic, a clinic auditor, and more. A lot of EMTs also go on to take on greater medical roles, going on to complete further training. It is common, for instance, for professionals such as nurses, physician’s assistants, dispatchers, administration professionals, instructors, and even doctors to have started their career as EMTs. Naturally, those professions all require a lot more training, and they must often also be licensed to work in their state. For those interested in following in the footsteps of Stephen Varanko III and who want to enroll in EMT training, it is of the utmost importance to choose a school that is properly accredited to deliver this type of education. The Commission on Accreditation of Allied Health Education Programs (CAAHEP), is the most respected accrediting body. They have accredited programs across the country, so you should also take the time to compare the different schools and what they offer in terms of educational support and career guidance on completion of your training. If you’re curious about what some of the benefits of living in a capitalist society are, Crystal Clanton has some tips to discover a few of the key benefits of capitalism. In capitalist societies, individuals are encouraged to work hard in order to increase their personal wealth. As capitalist countries avoid overtaxing individuals who earn a sizeable income as they realize that if individuals who earn a sizeable income are taxed highly, they’ll be less likely to work as hard. As what is the point of bringing in hundreds of thousands or millions of dollars per year, if you’re going to get stung with a high tax rate which will reduce your take-home income by over 50%. While socialist countries spend a huge proportion of the country’s budget on social development and social services such as unemployment benefits, capitalist countries don’t reward individuals for being unemployed like socialist countries often do and instead push their citizens to search for a suitable job. While many capitalist countries still provide individuals with a small bare minimum amount of support, they typically avoid offering unemployed individuals with a large amount of support. As giving unemployed individuals too much money, won’t give them the push they need to seek out suitable employment opportunities. 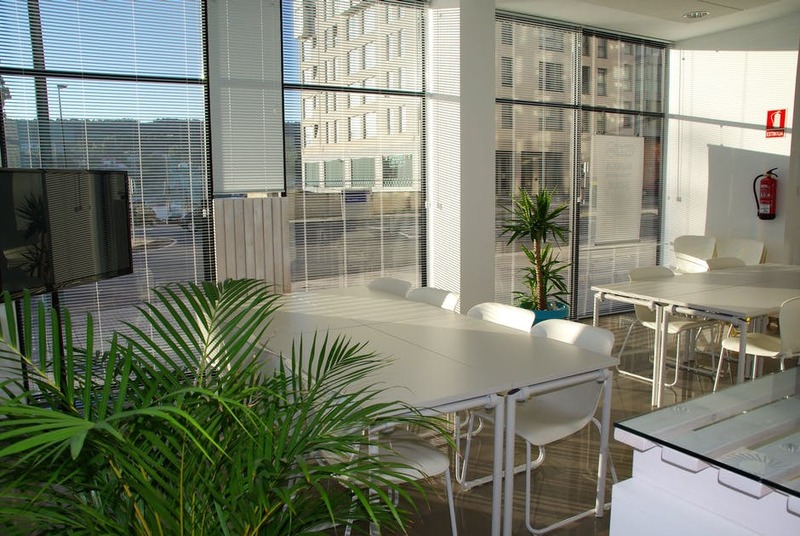 Capitalist countries support and encourage the development of new start-up businesses, which in turn will create countless new jobs and will increase capitalist countries economy. How do capitalist countries support the development of businesses? Many capitalist countries offer financial incentives such as tax breaks which target individuals who are looking to launch their own businesses. Such financial incentives are designed to make building a successful business an easier task. When a country boasts a strong economy, the quality of life of the country’s citizens will increase dramatically as the country’s dollar will increase and will give citizens a higher level of purchasing power. Which means that individuals will be able to afford to purchase more goods and services with their disposable income than they would be able to purchase in a struggling economy. 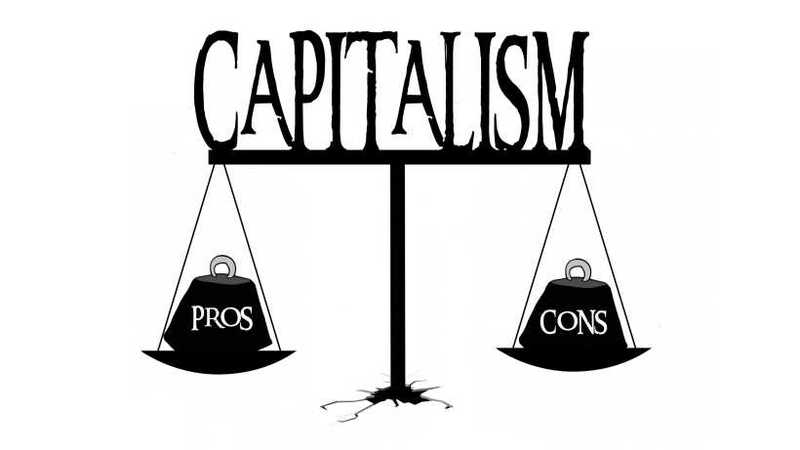 Generally, capitalist societies are generally less corrupt than socialist societies as in socialist societies the government often takes control of most of the society’s businesses. Generally speaking, a government should never have control of over 50% of a country’s businesses. Instead, countries which boast a thriving public sector, tend to offer citizens a higher level of freedom and self-determination than socialist societies. Unfortunately, in many socialist societies, individuals are actually arrested for speaking their mind and expressing a viewpoint which differs from that of their socialist government. In short, there are a wide array of benefits of choosing to live in a modern, capitalist society which encourages individuals to flourish on their own merits! Out of all of the places in the world, it would be fair to say that the people of Houston have very little faith in green technologies when it comes to real estate. This is an area where the main proposition, for a number of decades, has been oil and gas. In other words, it’s quite the opposite of green and sustainable solutions. However, the outlook is changing somewhat and while the typical photo of Houston in its current state might depict very traditional buildings, there is hope that this might not necessarily be the case in a few years. According to Allen R Hartman, it’s just a matter of time before the majority of Houston catches on to the green phenomenon. He has outlined some of the main myths that are currently stalling this section of the real estate market, which we will now take a look at. This relates to the point we made about oil and gas in the opening to this article. In other words, Texas as a whole has been the complete opposite of green over history, and it’s going to take a long period of time before this changes. However, there is plenty of evidence to suggest that the opinions of residents are changing. Sure, you might have to turn to California to find all of the environmental awareness acts, but Texas has some green claims to fame of its own. For example, if you were to analyze the amount of green certified homes in both states, you would quickly see that Texas actually has three times as many. In other words, the times are changing – so jump on-board. This point follows on perfectly from the previous one. In other words, because most of us “assume” that Houston isn’t equipped for green real estate, we immediately think that homes are going to look somewhat out of place. Well, as we’ve already discovered, this isn’t the case in the slightest. Green homes are becoming more suited to Texas, and you can see a lot more of the sustainable buildings donning the landscapes. So, in short, this isn’t an adequate excuse. 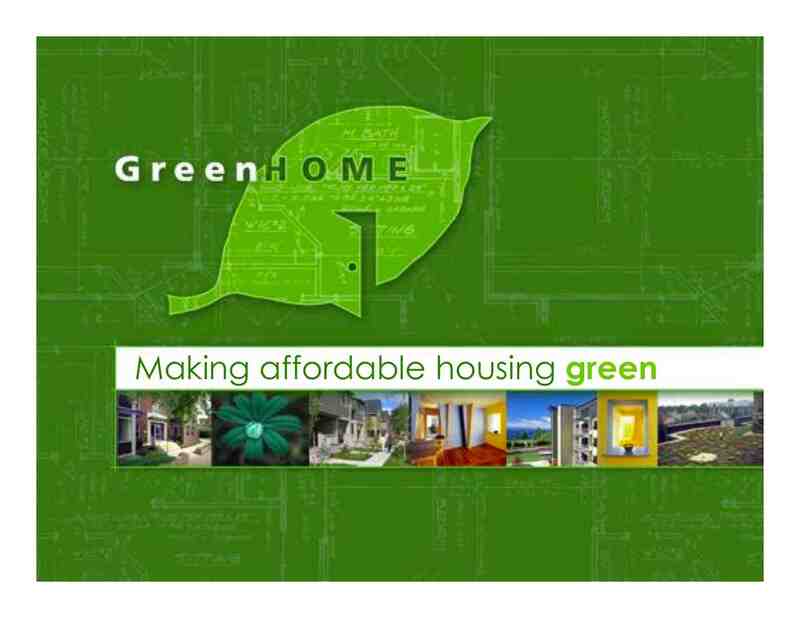 Again, the expensive nature of Texas means that many are under the impression that green homes are just unaffordable to start with. Sure, some elements of Houston-life are on the pricy side and while we don’t have any hard and fast figures to hand, costs of labor might be a little more. In terms of materials, there should be no such concerns though. It’s worth taking a “lifetime look” at materials, and analyzing just how much they are going to cost over the course of their useful life. Considering the fact that these materials are sustainable, they will tend to last for significantly longer periods of time. Immediately, this means that they will be cheaper for you in the long-term. Goa which is a small state on the edge of the Arabian Sea in India is a very popular tourist destination. Travelers from across the world head here for a vacation in search of a perfect getaway.Goa is strategically located and is easily accessible from anywhere in India. It is about 586 Kilometres from Mumbai and 556 Kilometres from Bangalore. Many airlines fly to and from Goa International Airport and it is quite convenient to do your Mumbai Goa flights booking or from any other city in India like Bangalore. What is it that makes Goa such a popular destination? Why do people return to Goa again and again? Here are 5 reasons that make Goa an irresistible destination to head to on your next vacation. A coastline of 101 Kilometres with gorgeous beaches and the azure waters of the Arabian Sea is one of the main reasons why tourists flock to Goa. The beaches of Goa can be a beehive of activity with water sports and food courts and a great place to head to with family and kids. On the other hand Goan beaches can transform into venues of vibrant beach parties under the stars. In Goa one can head to one of the popular beaches like Calangute, Baga, or Anjuna but if one prefers the seclusion of quiet beaches where one can walk or laze on the beach watching the waves crash on the shore then one can head to lesser known and less crowded beaches like Velsao Beach, Palolem beach, or Bogmalo beach. 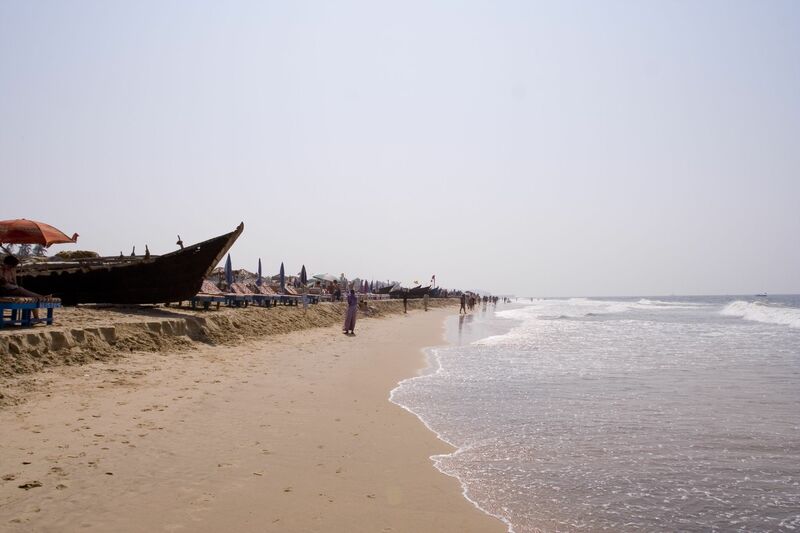 Whatever your mood or preference you are sure to find a beach to suit your tastes in Goa. When in Goa you are never far from a beach or a church. Long before the beaches of Goa started luring travelers to its fold, Goa was a centre of the Catholic religion in Asia. It used to be referred to as, “Rome of the East”, and was a major evangelist centre. More than 450 years of uninterrupted Portuguese rule till 1961 is evident in the exquisite and historic churches that dot Goa. The churches and convents of Old Goa are classified as a UNESCO World Heritage Site. 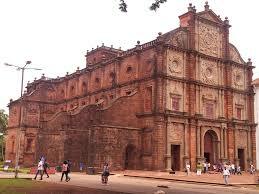 One of the famous Churches of Goa is the Basilica of Bom Jesus which was consecrated in 1605. This Church contains the holy relics or the body of the famous catholic saint, St. Francis Xavier. The Basilica of Bom Jesus is the oldest existing church in India. The other famous churches include the Church of St. Francis of Assisi which was built in 1661, and Se Cathedral that was built in 1619 among others. The churches and convents of Goa are a sublime side of the vibrant and exuberant Goa that attracts millions to its shores. Goa with its beaches, hills, rivers, and forest areas is an ideal location for indulging in outdoor activities and adventure sports. Snorkeling and Scuba Diving are natural corollaries when you have a vast coastline, Goa offers exciting diving and snorkelling options in Grande Island. The natural beauty of the countryside of Goa is a great place for trekking and some exciting treks include trekking in the Western Ghats that lies on the fringes of Goa. Cycling is another thrilling outdoor activity that one can indulge in Goa. Apart from these, other water sports like Kayaking, Rafting, Water Skiing, Parasailing, Windsurfing and Water Scooter Rides are available on the beaches of Goa. Goa is indeed a hub of water sports in India. There is music in the air in Goa. The strains of music ranging from the soothing notes of Church choir to the vibrant beats of heavy metal greet you in Goa. The lilting melodies of the folk music of Goa are sure to set your feet tapping. Goa is also the venue of many large Music festivals that surcharge the air with vibrant music. Goa is also the home of Electronic Music which took root during the early sixties when hippies flocked here and brought their music with them. The Electronic Music slowly evolved into a unique genre which came to be known as Goa Trance. However over time Goa Trance slowly disappeared and was replaced by a genre known as Psychedelic Trance or Psy Trance. The music festivals that literally rock the land of Goa include the Goa International Jazz Festival which features genres like new age Jazz, Hip-Hop, and R&B. Another unique Music Festival that happens in Goa is the World Mouth Harp Festival that brings the talented and best Mouth Harp Players of the World together to showcase their music and enthrall the audiences. Yet another unique festival is the Monte Music Festival which showcases the best of Western Classical Music and Indian Classical Music on one platform. If music is what you think life is all about, then you must head to Goa to experience the mystical dance and trance of music. In the unlikely event of the music, adventure, beaches, and churches of Goa leaving you unmoved, you are sure to succumb to the charms of its cuisine. The various cultural influences spanning the annals of history have left their magical impact on the cuisine of Goa too. Goa is a literal melting pot of the cuisines of the original Hindu culture, Portuguese culture, Catholic cuisines, as well as the best of Muslim cuisine. Being a coastal land seafood predominates the cuisine. No authentic Goan meal can be considered complete without fish. Some of the well known Goan dishes include Goan Fish Curry, Goan Prawn Curry, a dessert called Bebinca made from coconut milk and jaggery, and of course the globally known dish called Vindaloo. The tantalizing aromas and flavours of Goan cuisine are sure to leave you smacking your lips and asking for more. These are just glimpses of the incredible experiences that Goa in India promises. One needs to head to Goa to experience the varied experiences that it offers and lose oneself in its natural beauty and vibrant culture. A home isn’t just a place to come home to after a hard day’s work, or a place to raise your children, it should reflect who you really are. Paying close attention to the design and décor of a house can help you create a building to be proud of, but the essential gadgets and household items within it make it a functional and comfortable place to live. What many people don’t know is that some of these items can have alternative uses to their primary function, making them more versatile and more fun. Every house should have a bread machine, because the smell of bread proving and then baking has to be the greatest scent in the world. Freshly home baked bread tastes better than the shop bought varieties too, but whilst bread is for many people a staple of their diet, your machine can also be used to create one of the most delicious foods of all: pizza. Bread machines can be used to prepare pizza dough in around an hour, and this easy to follow five ingredient pizza recipe from Pocket Change Gourmet does the rest. 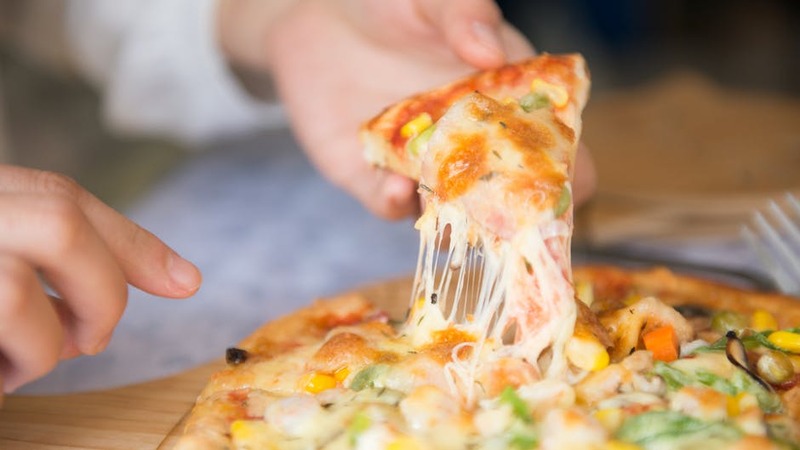 Once you’ve tasted homemade pizza you won’t be going back to the takeaway again, and it’s sure to impress dinner guests. We all have a pair of jeans that we really love, but over time their color begins to fade, they lose their crispness and just don’t look as stylish as they once did. It’s time to buy some new jeans, or is it? Your household freezer isn’t just a food preserver, it’s also a denim reviver. Simply place your jeans or jacket into a sealed bag and then store it within a freezer compartment for a week. Not only will any bacteria be eradicated but the color will be revived, and they will feel as crisp as the day you bought them. Just don’t be tempted to go down the double denim route afterwards. Many people have discovered the convenience of having a water purification system built in to their faucets, and if you haven’t you really should. That could spell goodbye for the water filtering jugs that many of us once had in our fridges, but they do have an alternative, and rather more decadent, use. If you love vodka you’ll know there can be a huge difference between a ten-dollar bottle and a premium brand, but by filtering cheaper brands through a water filter jug five times you’ll get a premium taste at a budget price. Try a blind taste test and you’ll be amazed at the result. Bread machines are a great addition to any kitchen, every home has a freezer, and many of us also have water jugs languishing unused and unloved, but they can all do much more than you may have thought. Putting your household gadgets to an alternative use doesn’t just bring great results, it can also be an excellent talking point at a dinner party. You’ll never look at your appliances and gadgets in the same way again. You have a lot of choices when it comes to window treatments. Many people keep things simple by installing mini blinds while others go big with blinds, draperies, and valances in every room. Well, those aren’t your only options! There are many reasons to install window treatments, but one of the biggest reasons why people decorate their windows is to enhance their family’s privacy. That’s exactly what solar shades can do for your family. By hanging them in the window, passersby can’t look in and see what you’re up to. All they’ll see is shadows. It’s true that traditional blinds and draperies would do a better job of increasing your privacy, but they don’t always do a good job of letting in natural sunlight. There are quite a few health benefits of exposing yourself to natural sunlight. If you don’t want to have to open and close the blinds or draw the curtains every night, do yourself a favor and install solar shades. Even when they’re closed, they let in a little light. We’re all looking for ways to save money. In the home, that means changing out light bulbs and buying Energy Star appliances. It should also mean installing solar shades. Without compromising on letting a little sunlight into your space, you can still reduce energy costs by as much as 15 percent by hanging solar shades in your windows. It’s true that sunlight can boost your mood and increase your health, but that doesn’t mean the effects of the sun are all good. Unfortunately, the UV rays from the sun can burn your skin, and they can fade your furniture. Made out of UV-resistant material, solar shades will make sure you don’t get burned while sitting in front of the window, but they’ll keep your furniture, carpets, and artwork from fading too. Drawing curtains can be kind of a pain. Even dealing with mini blind cords can sometimes be more trouble than it’s worth. Skip it all with solar shades. Many shades can simply be pulled up and down without the need for a cord. They can even be motorized so they go up and down with the push of a button! If you’re ready to do a little decorating and you’re shopping around for a new window treatment, consider solar shades. Not only are they stylish, they can provide your family with some serious benefits, including keeping a little more cash in your pocket with their energy saving capabilities.